Feasts & Sides To Go! Holiday seasons demand high-volume on specialty flavors. 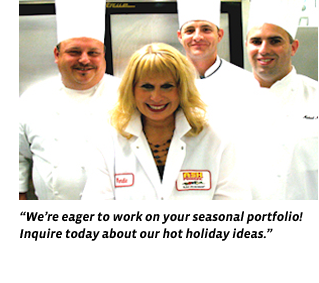 That's exactly why we've created the ASK seasonally-smart food portfolio. It moves with the season! It's a proven success and brilliantly flavored. Our seasonal line epitomizes what we do best… lots of remarkable quality and unmatched consistency. Whatever volume you need, we'll deliver on time!